Swiss company Straumann is widely recognised as the crème de la crème of dental implants. With branches located in 50 countries globally and a reputation for extensive product research, Straumann is one of the leading brands in implant dentistry. Dental implants are both an art and a science, as implants need to function perfectly in a mechanical sense for full function, but also to look as aesthetically pleasing and natural as possible. These implants are designed to restore beautiful facial aesthetics to the patient’s face, and optimal oral function for the reliable replacement of missing teeth. The Straumann Company provide a variety of implant types to give our implant specialist an excellent range from which to choose. The requirements of each patient are unique, and the most subtle of differences in the way the implants are engineered can make a difference. Known for working with the very latest research, Straumann offer implants that provide very secure bonding between abutments and implants. They are also made to integrate extremely well with bone and tissue, and have options available to fit in specific ways within the jaw so patient’s healing time is minimised. The Straumann range offer highly-customised restoration solutions, so our implant specialist has flexibility of choice in picking the perfect match for our patients. They also provide colour-coding kits and prosthetic plans to make choosing the right abutment simple for every case. 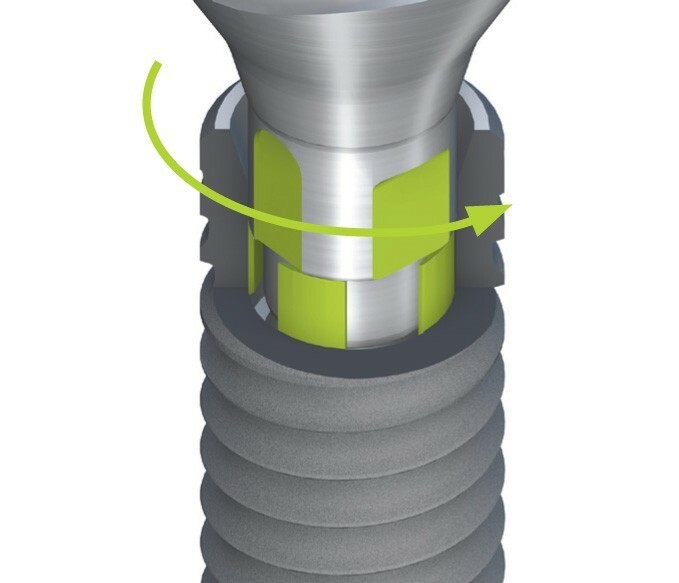 One of the clever implant types provided by Straumann is the Crossfit connection; implants that have special grooves to ensure tight bonding to the abutment, they integrate nicely with the jaw; heal quickly and provide a reliable anchor for a variety of artificial teeth. Our implant specialist will develop a tailored treatment plan for you, and discuss suitable implant options that will best suit your case. To book your consultation, just call 021-432-0004.